Dynamic subdomains like Google Blogger and Tumblr.com, I know most of the people are looking for better solution. Today I want to explain how to achieve this using .htaccess with PHP. 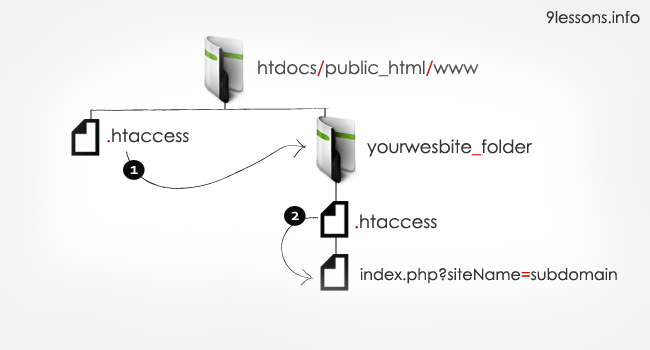 I especially love to write .htaccess file, using this you can easily host multiple domains in single server. This dynamic subdomain system is the base for cloud services, soon I will come with new tutorial. I hope this post will solve your problem, please take a look this live demo. 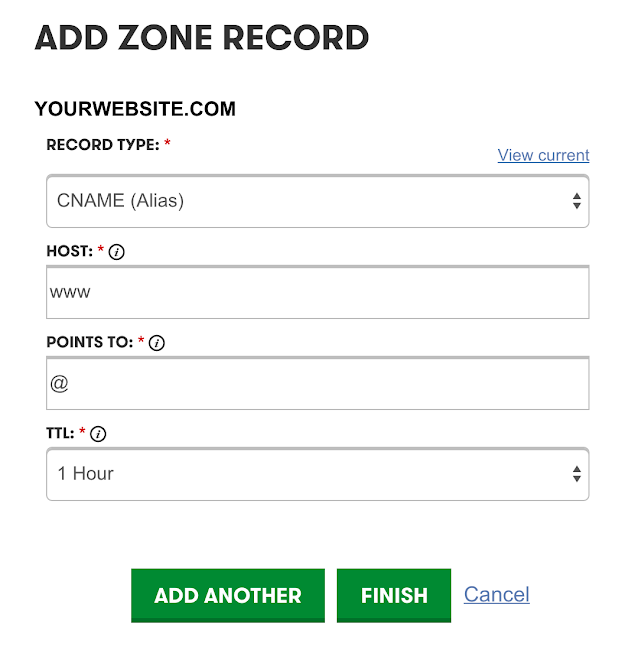 Go to your domain DNS(Domain Name Settings), click add zone record. CNAME list should be in following way. Save all of your domain DNS settings. This file is rewriting the subdomain urls. More .htaccess tips: Htaccess File Tutorial and Tips. This file contains simple PHP code, using regular expressions validating the subdomain value. //Do something. Eg: Connect database and validate the siteName. If you are using root directory(htdocs/public_html) as a project directory, use this following .htaccess file. I want to this like redirection file. Please, did you mean we can use either of the methods above? Or, we still need to configure CNAME, A RECORD before .htaccess can work? What happens to original (static) subdomain? unable to create for "Www". I know the reason, but you can make it more pretty by adding a validation or popup message. Great tip thanks This is just amazing. Nice article. Can you a post on dynamic subdomains with php and nginx. still confuse can u tell more detail with video ? hello, I was unable to create a custom A record for HOST @. it gives me an error message saying "That is not a valid zone name"
Same for me too..I tried to create CNAME for [email protected] and www. But it shows me error. Hi, i followed your steps and done all those things. But i got "pageok" text with blank page. My hosting domain and server in GODADDY. Please help me. Thanks. Check your server .htaccess is working or not? Hi, thanks for your response. In my server .htaccess working perfectly. But we are having multi domain shared host in godaddy. We don't have dedicated IP. All domains having same IP address. So my doubt, wildcard DNS(*.mywebsite.com) not working in shared host(without dedicated IP). Is it right? Nice, got to try n feedback..
Can i need VPS/Dedicated ? or available on cPanel Reseller ?? Nice article sir. is this SEO friendly? First of all thanks for this great tutorial but i am not able to do the same please help me regarding this . Please give me your personal mail or anything so that i can send everything to you . Thank for wonderfull script, I am using it in my new blog site to display seperatily user's blog. 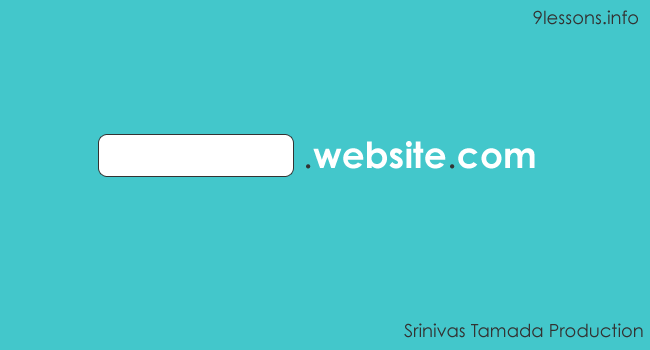 Here i create subdomain using user's username like http://username.sitename[.]com. when i go on user's blog there session is not working. Second is Access-Control-Allow-Origin, fonts not working . Your article is very interesting. I have a question. How would you maintain a wildcard sub domain SSL cert on YOURWEBSITE.COM in this scenario? Hello i have a Question will i be able to Delete a Sub domain later down the road? Second question is it possible to create this with user accounts. So not just anyone can make one? could I use htaccess in xampp application ? As in your example (http://page1.thewallchat.com/), CSS files and others do not load, everything in the internal folder is redirected to index.php. How to solve this? Hi, I was unable to create a custom A record for HOST @. it gives me an error message saying "That is not a valid zone name". I am using godaddy shared hosting. Please help me. Hello, Do I have to set up ServerAlias in apache config for wildcard subdomains? Is it possible to point sub domain to sub directory. Hello i have a question i was wondering if it is possible to create this using local hosting like xampp or something like this? 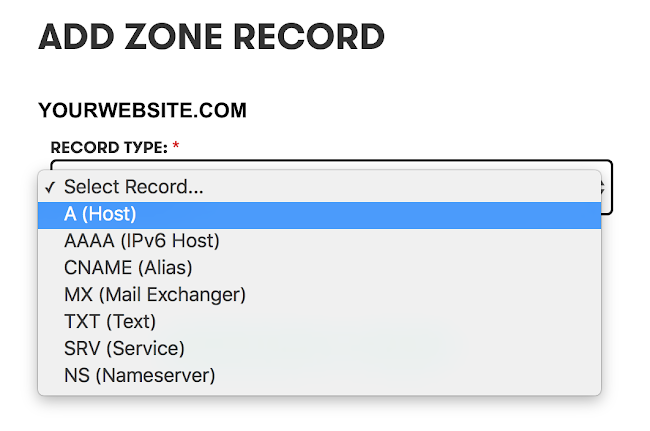 Go to your domain DNS(Domain Name Settings), click add zone record ==> go my domain DNS but no view (ADD zone) || DNS setting in goddady ==> We can't display your DNS information because your nameservers aren't managed by us.|| in this case EDIT my Advanced Features (1.Manage Templates,2.DNSSEC,3.Host names) ???? Does it work on shared hosting? how does it works on xampp ?